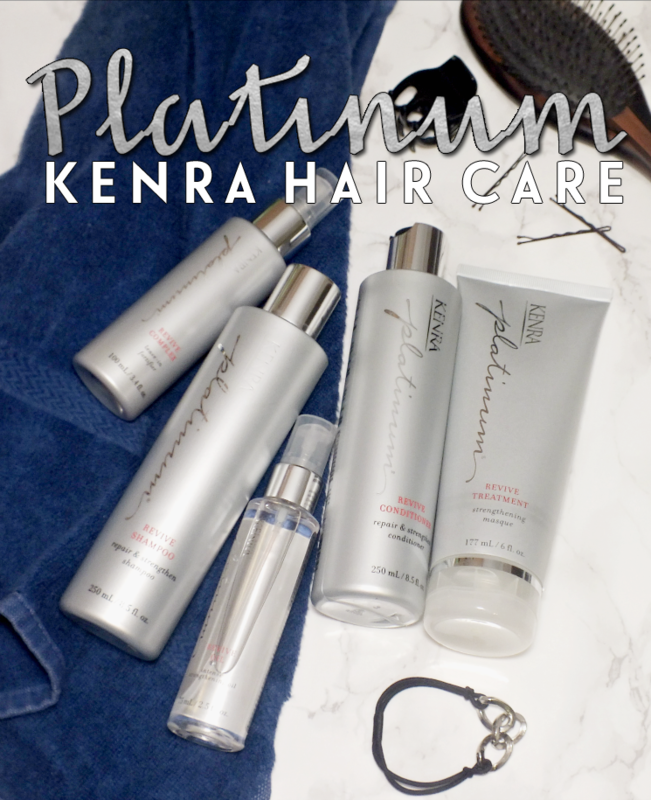 "The Kenra Platinum Revive System is specifically formulated to repair and strengthen gaps and tears on the hair shaft. No need to worry about the hair feeling heavy, this system only targets the damaged areas of the follicle and rinses off where the product is not needed." We'll start at the start, with the shampoo. The Platinum Revive Shampoo is formulated without parabens, sulfates and sodium chloride which means it's completely safe for coloured hair (yay!) It's formulated to penetrate the hair cortex to repair and enhance elasticity while strengthening the cuticle from within. The shampoo alone offers 95% less breakage from the first use. I'm used to SLS free shampoos, and many lack any sort of lather, or are hard to disperse on hair, but this one is a winner. It has a nice, light lather, and you don't need to use a ton of it for fully cleansed hair. I'm a reverse washer (I shampoo second) and I was very pleased that this shampoo doesn't seem to leave my tangle-prone hair a mess. 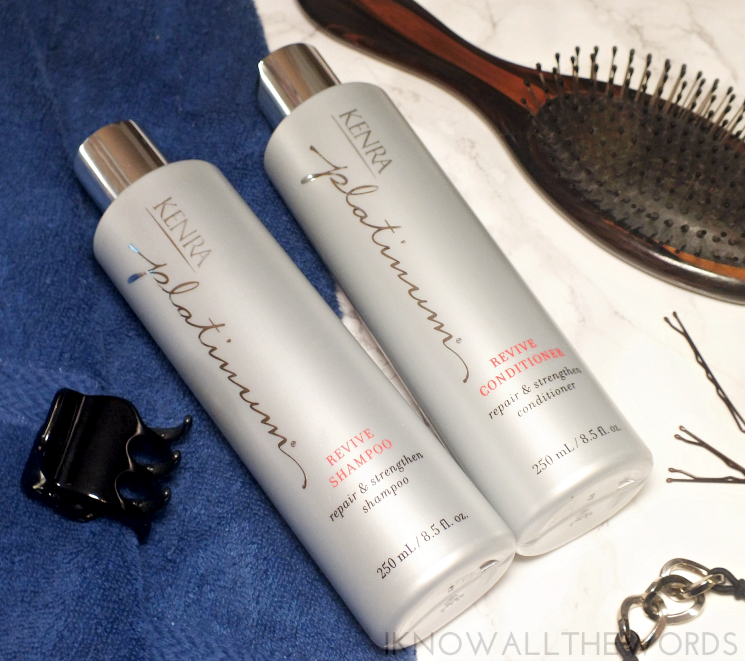 Conditioner is up second, and while the Platinum Revive Conditioner is fine, the Platinum Revive Treatment is so much better. When there is a treatment or deep conditioner, I tend to bypass the basic conditioner . I'm all about the extra hydration. While the Revive Conditioner leaves hair feeling silkier and manageable (it also enhances the strengthening effect of the shampoo) the treatment is better. The treatment is a concentrated conditioner that targets damaged strands and saturates hair with (much needed) moisture which in turn restores supplesness and radiance. From the first use I was hooked, as the treatment left my prone-to-dryness hair feeling and looking so much more hydrated but not weighed down. 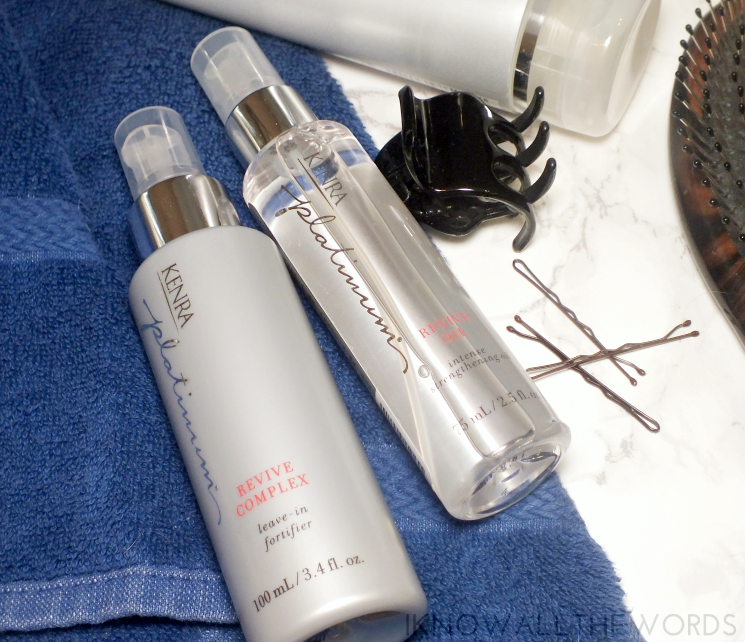 A major plus for fine textured hair. After washing and conditioning, hair is treated to the Platinum Revive Complex. The leave-in fortifier works to add even more lightweight hydration while perfecting and protecting hair. It's formulated to combat dehydration for less breakage while also functioning as a heat protector (up to 450ºF). If that's not enough, it improves the appearance of dry, fried ends. I am in need of a trim, so I appreciate that this does leave my dry ends looking and feeling much smoother. While I know the great things oils can do for hair, I'm always a bit leery when I try a new one. My hair texture is fine, and I always imagine an oil leaving it completely flat and looking less than clean, Luckily, neither is an issue with the Platinum Revive Hair Oil. The lightweight oil improves hair health by preventing signs of damage while strengthening and moisturizing hair. The oil can be added on damp hair, or once dry as a finishing touch, but can also be added to other Platinum Revive products to intensify their benefits. I've been using this after washing on damp hair for added hydration and manageability, and a bit pre-wash to help protect my colour. If you're hair could use some loving, this range is definitely worth adding to your routine. 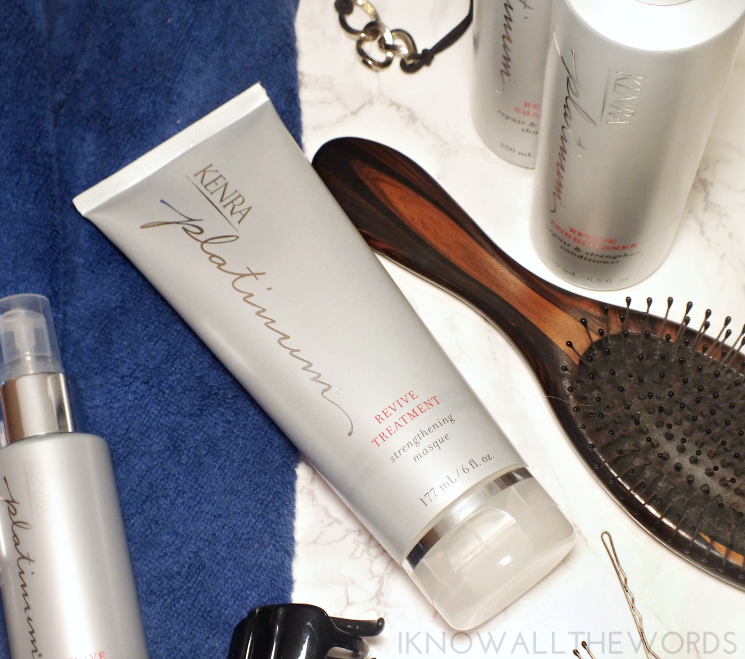 Kenra Professional products are available at select salon. Find one near you here. 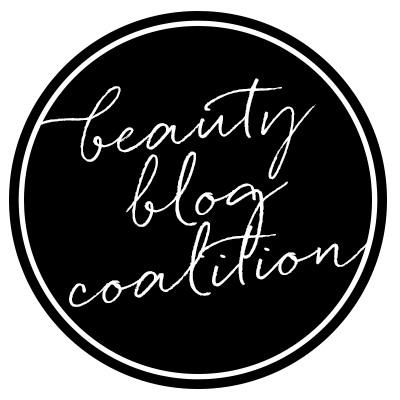 Could you use any of these products in your life? Have you tired them or anything else from the Kenra range?